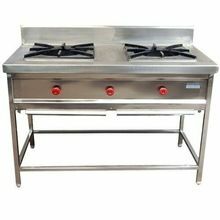 Commercial L. P. Gas operated cooking range designed with four flame burners in a small compact layout provided with oven underneath, in simple language its an four burner gas cooking range with oven. 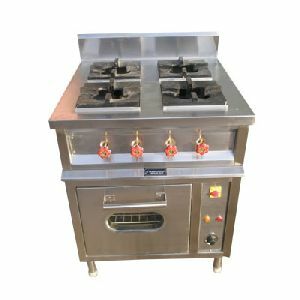 Features Two sets of inter-changeable burners of low and high pressure flames with optional pilot burners and simmer plates, slideout drip trays. 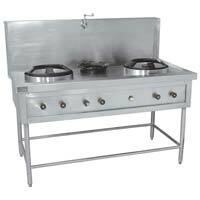 Available in six burner also. 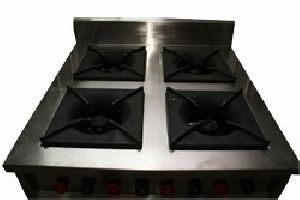 We are offering 4 burner continental cooking range with oven. 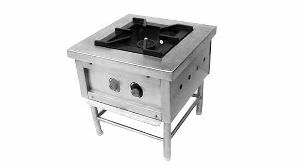 Fabricated totally in stainless steel fitted with t-35 burners with a support of pigtail pipe and control valve downside adjustable nylon bullets. 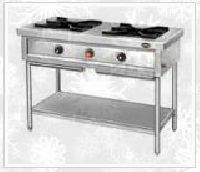 We are offering four burner continental range as crafted with stainless steel top. 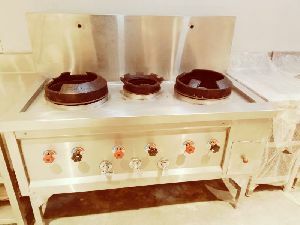 Front panel and side panels in sturdy framework. 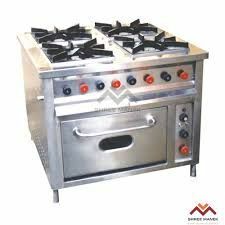 Available with electric oven for perfect baking. 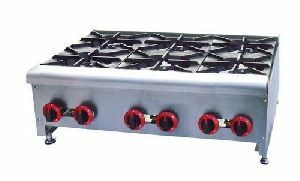 Heavy Duty removable type Cast Iron Grids of 400x400x50mm, heavy duty high pressure burners with pilot lamps and individual Gas Control Valves. 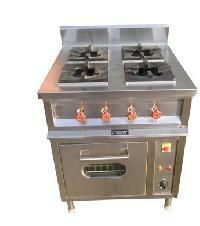 We are offering continental chinese cooking range. 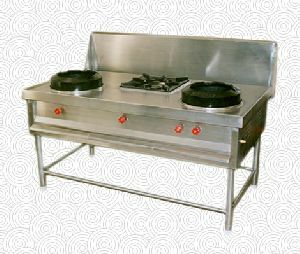 These are ideal used for purpose of cooking continental style of chinese food with provision of water flow system and are used in kitchens of restaurants, canteens, snack bars & large scale cooking. 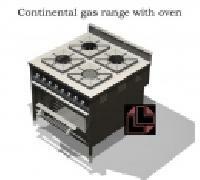 We are offering continental chinese cooking range. 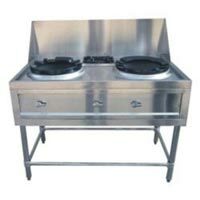 These are ideal used for purpose of cooking continental style of chinese food with provision of water flow system. 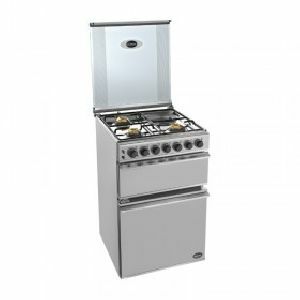 CONTINENTAL GAS RANGE WITH/WITHOUT OVEN UNDERNEATH Gas operated 4/6 open flame burners in a compact layout on top, with option of intergral gas / electric oven / Hot case underneath or plain s.s. under shelf. 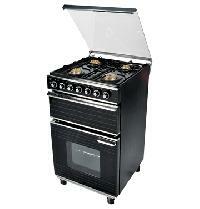 suitable for A-La-Carte Cooking / continental cooking. 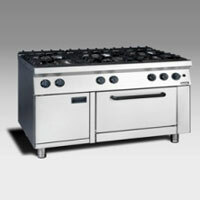 Four Burner Continental Range is fabricated using 304(Food Graded Stainless Steel). 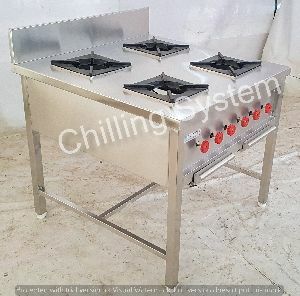 It comprises of optimum quality heaters which gives higher performance and thermo sensors which gives accurate temperature reading for pizza oven and good quality burners and valves. 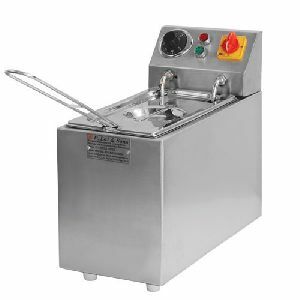 It is widely used in hotels and restaurants for making pasta, gravy, pizza etc. 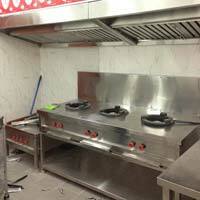 Size fabricated as per clients requirement. 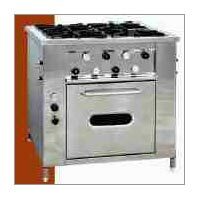 With or without oven 4 HP or 2 HP & 2 LP option Different sizes ranging from 30”x30”x18”ht to 40”x 40” 34”ht. 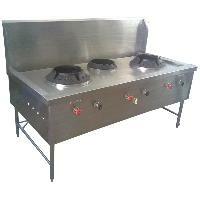 • Three Burner Chinese Cooking Range. 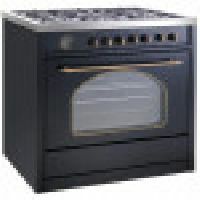 • Intricately designed using quality approved raw material. 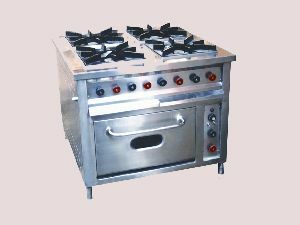 • Elegant cooking burners for diversely used in hotels and restaurant for preparing different types of cuisines swiftly. 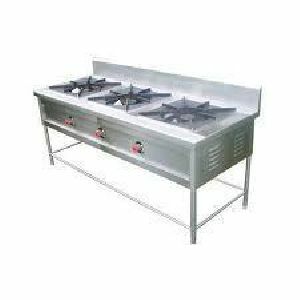 We are supplier of two burner gas stoves for Commercial use in Hotel, Restaurants and Hostipals of premium quality raw material. 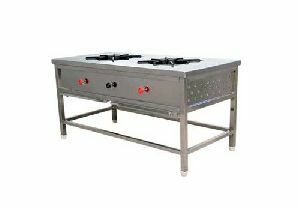 these professional cooking burners are diversely used in Commercial kitchens for preparing different types of cuisines swiftly. 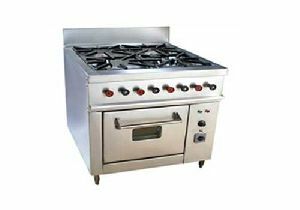 Our two burner gas stoves have effective control to regulate the supply of gas. 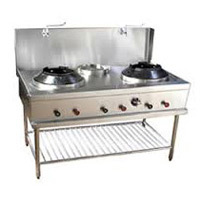 If you are looking for Deep Fryer Range, then we can confidently tell you that you are at the right place. 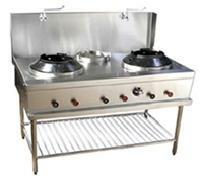 We are prominent manufacturers of a wide range of Deep Fryer Range in Multi Range. 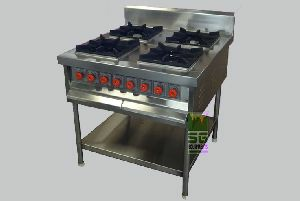 Madhav Kitchen Equpments is the one of the best supplier of Deep Fryer Range.